Scenes from the inaugural Skull in 2017. About 130 miles east of Bend lies the small, high desert town of Burns, Oregon. People from the Northern Paiute tribe have lived there for thousands of years. Today, like many eastern Oregon towns, the area gets by mostly on farming now that most of the big timber is gone. But there’s another natural resource that is just coming into its own: unpaved roads that are perfect for bicycling. And an interesting partnership of local, state and federal agencies are leading the charge to promote them. 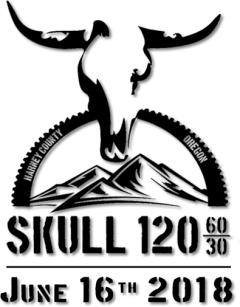 The marketing vehicle for this new discovered asset is the Skull 120/60/30/Relay ride — a combination endurance/gravel/cross-country/sightseeing race/ride that will roll out on its second annual edition June 16th. New coalition will speak for trails and paths like the Banks-Vernonia. From a world-class mountain biking route to a new coastal path through the forest, there’s a lot going on with trails throughout Oregon. 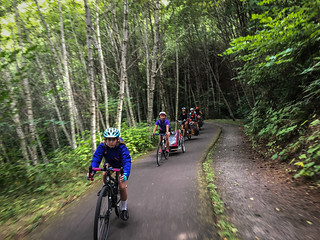 But so far we don’t have a statewide advocacy group or coalition that ties all the loose threads together and speaks as one voice when it comes to raising awareness for projects or lobbying for funding and trail-friendly policies in Salem. The Banks-Vernonia trail is one of Oregon’s riding gems. Would we have more trails like it with a new advocacy approach? More bikes in the Gorge is a very good thing. 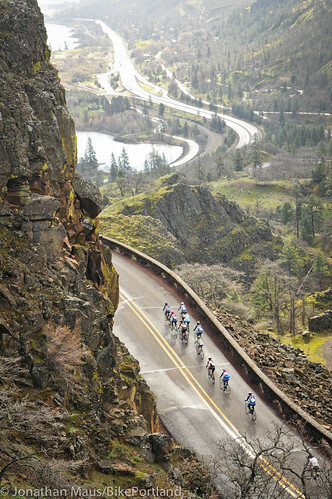 If you’re interested in helping the Columbia Gorge keep ascending into the pantheon of world-class cycling destinations, Travel Oregon wants to help you. 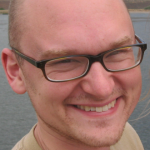 The extremely bike-friendly state tourism organization has selected the Columbia Gorge for its “Tourism Studio Program” in 2016. 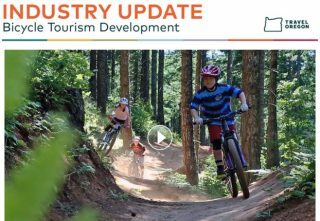 This is “a professional bi-state development program designed to bolster the region’s tourism economy while maintaining its rich environmental and cultural assets.” After the same program was implemented in Clackamas County in 2011, that region witnessed a blossoming of bike-related tourism projects and initiatives. The Oregon Department of Transportation’s continued connection and improvement of the Historic Columbia River Highway has been combining with enthusiasm by people up and down the Gorge who see their area’s huge potential for tourism that has low environmental impact but big economic impact. We’ve been covering all of this as it has come together in recent years, and it looks like we’ll have plenty more to cover in the years to come. to Tillamook on the Oregon Coast. 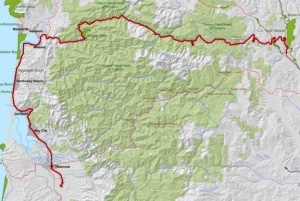 The proposed Salmonberry Trail, a path that would connect Washington County to the Pacific coast through the forest along a defunct rail line, has an official name and is about to get a full-time executive director. Previously referred to as the “Salmonberry Corridor,” the trail also has an 11-member decision-making body with formal power to start raising the unknown millions that’d be required for the 86-mile proposal. The Salmonberry Coalition will celebrate those milestones at its annual meeting next month. The public event is 10 a.m. to noon on Friday, Oct. 9, at Stub Stewart State Park. 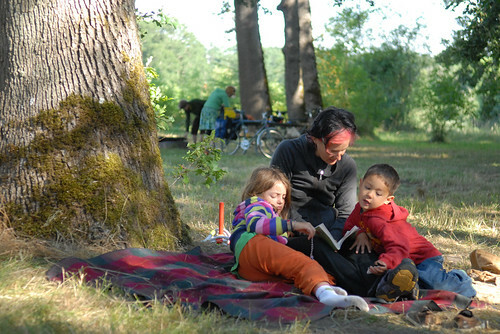 Bike camping at Champoeg State Heritage Area in 2009. It’s fun to report two separate bits of news about bike friendliness in the state park system on the same afternoon. 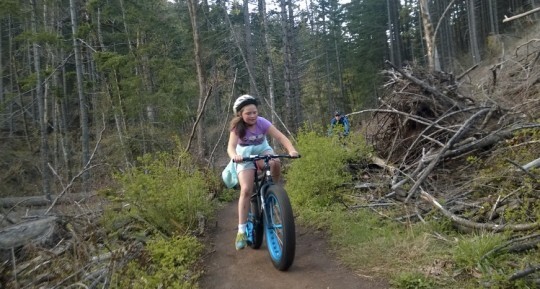 Milo McIver State Park and Champoeg State Heritage Area are both upgrading their bike amenities, the Oregon Parks and Recreation Department said Wednesday. They’ll get new lockers for gear and food storage; phone charging stations; and bicycle fix-it stations, plus new group shelters. A third park, Bullards Beach State Park on the southern Oregon coast, will be upgraded too. Fat biking in Post Canyon? 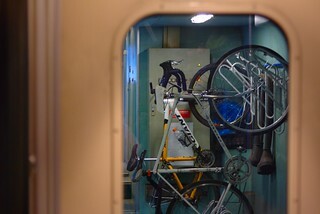 The Bike Concierge has you covered. 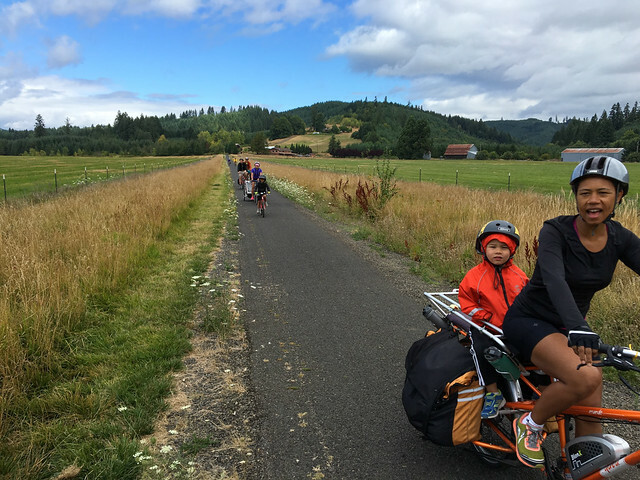 — This article was written by Jennifer Sotolongo, a tourism development specialist for Clackamas County who’s about to embark on a bike trip around the world with her husband Dave and dog named Sora. Follow them at @longhaultrekker. When Thom Batty resumed his regular life after riding the Tour Divide in 2013, he realized that he no longer wanted to spend his days behind a desk. He wanted to get people on bikes.